Thanks for stopping by, I'm so glad you are here! I live in Northern California and I am a mom to 3 great kids... I am a wife, a grandma (he calls me Nan), a daughter, a sister and a true friend! I am a passionate yogi and teetotaler that changed my life by removing that one thing – ALCOHOL. By removing that one thing, I made way for 1,000 more positive things in its place. When I first gave up drinking, I had no hobbies, no passion, no idea what I was going to do with my life. I just knew that I was not living my best life and that I was most certainly dimming my light with drinking. What started out as social drinking escalated over the years into what ended up being a major problem. That's the thing with drinking...it isn't a problem until one day you wake up and it is. Once the problem was removed, it made time for ALL of the things – yoga, exercise, reading, new friendships, building up my existing relationships and the time to start excavating why I drank the way I did for so many years. What I found was that I am an introverted-extrovert – meaning all those years I considered myself an extroverted party-girl, I realized I was drinking to quell my social anxiety and to calm all of the energy I felt being uber-empathic as well. I never understood why I could feel other people's energy and truths and have only just really started digging deeper into what that means for me. Through getting sober, I learned more about myself - who I am, what lights me up, what shuts me down and why I drank the way I did. The thing is, you can remove the addiction, but unless you start to do the work of figuring out the what, why's and how's, you will just stay stuck. And stuck did not sound good to me...not one minute longer! The change in perspective and identity has manifested so many new and beautiful things - I am finally realizing so much of my life and ideas were shrouded in story - and not the good kind. Releasing fears, story and things no longer serving me, has created so much room for all of the miracles happening now. As things started to unfold, I was able to be myself, to let my freak flag fly and to just stop caring so much about keeping up with the Joneses and what other people thought of me. 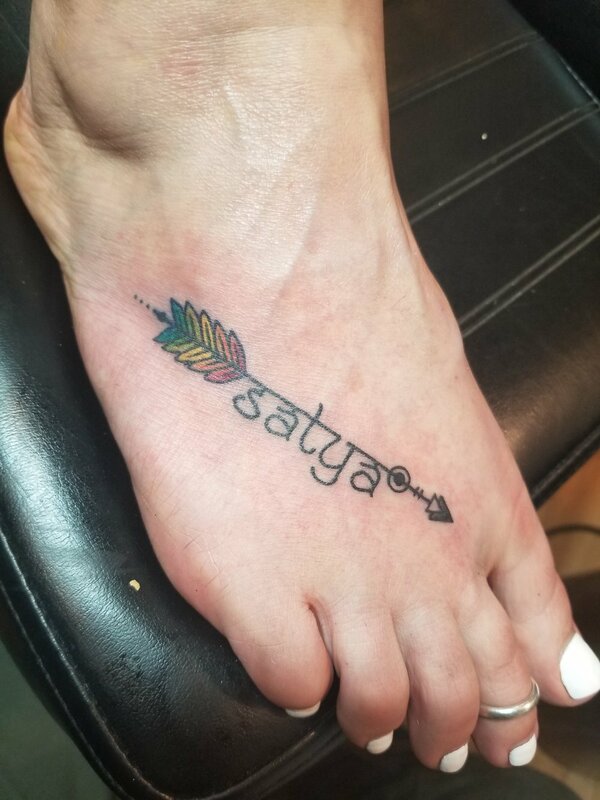 I started getting tattoos (photos below - all tattoos by the super talented Ian Harper @ Buddha's Palm in Sebastopol, CA) and continued doing all the yoga. I became a pescatarian, quit drinking coffee, cultivated an amazing self-care regime and began living my life out loud in the best way I knew how. I just started being myself - the true me - the me that had been tucked away and hiding for so very long - the me that longed to shine and be seen in the world. It took me a little while to figure out that the biggest thing to light me up in sobriety was being of service - to myself, to my friends and family, to others in recovery. I became a registered yoga teacher (RYT200) (more about this here) and Certified Professional Recovery Coach (CPRC) and Certified Life Coach (CPC) Dual Recovery / Life Coach Training through International Association of Professional Recovery Coaches, IAPRC. I am also at the same time working on the She Recovers Coach Designation program. I am also certified as a recovery leader through Y12SR: The Yoga of 12-Step Recovery Leadership Certification program. I am so excited to assist others in finding their greater purpose and clearing away limiting beliefs that may be holding them back from living their best life. I am committed to helping others live life on purpose. 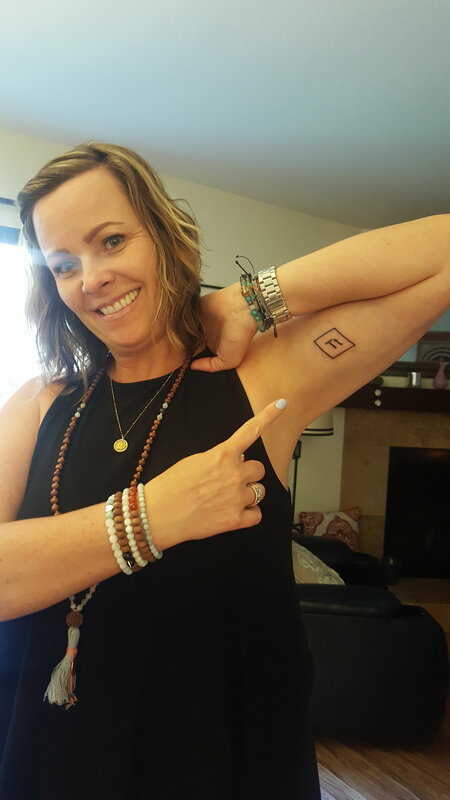 I love how it is all tied together - yoga, recovery, coaching - and excavating the parts of you that have been hiding while living with addiction. I am so glad you have joined me here, on this beautiful path... here's to letting our freak flags fly and putting ourselves first and becoming whole again, or at least to being on a path heading that way. Stay tuned for more big things to come. I am so very honored you took the time to check out my website!